hello everyone, so sorry I have not been on here in two days. I had a family emergency a state away from me and had to travel a short while then sit in a hospital for two days! Everything better now, however, even though I stayed below 1600 calories I still gained a pound this week. I am not to worried about that one pound because there is a lot that plays into that. I didn't drink enough water, only diet sodas. Also my ankles are a bit swollen from the drive and from sitting in the hospital chair two days. I didnt get much exercise in. and also some of the foods I ate were high in sodium. So I will weigh myself again in a couple days to see if that pound goes away lol. so for my final weight as of this past Wednesday I weighed 313.88. 5 pounds less than when i started this challenge. Yay! and sorry I couldnt post this when I was supposed to. Team I want to give thanks to everyone for giving it a shot!! I hope you guys are feeling positive and uplifted! Hello everyone. I lost 5 pounds since I joined this challenge. Weighed in at 162 again today. No loss no gain. Kept to under 1600 for 5 days of the seven going over when I had high calorie bun days. Final loss for the challenge is 9 pounds. Now on to breaking through the162 barrier. Next goal...get into 150s. WONDERFUL EVERYONE!!! 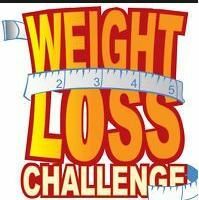 Please post your final weight loss by Wednesday September 9th!!! Congrats on loosing 5 pounds Karmexo. WTG CARAMELDIAMANTE!!!! I just wanted to stop in and wish everyone a great weekend! Hope everyone is having a great one! wooohooo!!! stuck to right around the 1600 calories for the last four days and I weighed in this morning and have lost 5 pounds in 4 days!!!! Yay! hello everyone, day number two back on track was a success. I aimed for 1600 calories and had 1654 which is pretty close to the mark. I wont be upset about that number lol. Planning on another good day today as well. Aiming for 1600 again. Doing fabulous after pushing my upper limits for three days. Weighed in a day late because I wasn't home, 162! I think that is down by at least 1.5 lbs. It should be smooth sailing this week 2ith some good swims and bike rides scheduled. I'm hoping by staying in this calorie renge I will continue to lose. In the past it has come to a halt probably because my exercise level is high and my body begins to think it is starving. I like this level of eating. finally back on track for second day after having a horrible three weeks. Done good yesterday, but doing better today. I am aiming for 1600 calories today which is a LOT less than what I have been eating lol. So far its looking good, Just got dinner to go in a couple of hours and I have a healthy dinner in the slow cooker almost done. I shouldnt go over if I eat sensibly at dinner. It is good to be back! How is everyone doing? We have a little over a week left to go! I'm thrilled to report another pound off. Thats 7 this month. Fantastic, not that I don't have challenges though. Weigh in tomorrow. No slacking here, very good day. Saw a loss on the scale but won't count it until I see it on Tuesday. WAY TO GO 1234 MOM!!! Weighed in this morning and I have reached the goal of 5 pounds down. I never lose that fast but the mindset is there so I'm starting on my next 5. It will be slower. My calories stayed consistently in the 1400 to 1600 range since I joined on the 4th. Thanks for sharing on the CHEAT Karmexo! That's a good reminder to me. I've been so good i was thinking ice cream tonight. I not do that until I can confirm my loss and have a daywhen the calories will fit in. Now get right back with it so you can fight those urges. It's tough. Get under the 1600. Eat slow, seated and enjoy every bite! I lost Lost .5 this week, staying within my goal may need to cut a few calories here and there though to lose a little faster. WOW!!! I decided to have a cheat meal yesterday for dinner. BAD idea!!!! my cheat meal turned into a cheat evening. Then that carried over to a cheat day today!!! I feel terrible and bloated. Lesson learned for now. Back on track in the morning! I went to store and bought stuff for some healthy meals so no excuses for me tomorrow! back to trying for the 1600 calories. GO TEAM A!! You guys are getting it!! KARMEXO! Give yourself credit for the diligence it takes. I'm hanling my eating like a champ so far and actually fit in three strength workouts this week. That is my new push. hey guys! I weighed in today 8/14 and weighed 314 so I lost another 2 pounds this week! So far so good, I'm still under 1600 for about a week now. It is mostly due to eating only whsn sitting. In other words, planned. Working for me. Had a fitness evaluation at LA Fitness on Monday. It mostly was a sales pitch. I didn't learn anything so not signing up for trainers at this point. I weighed in today and lost 0.6 lb in the last week. A loss is a loss no matter how small. (Staying positive) Spark people was kind enough to say I lost 1 pound. I pushed myself to work out. 5 miles and on track with my water today. So far so good. Great job, Karmexo! Slow and steady...and you're working towards it! I did not work out today. It's my rest day. I didn't sleep well at all last night, so I chose today as a rest day. I got my water in. That's easier this time around for some reason. Well, I'm going to relax before trying to get a good night's sleep. Have a great night, everyone! hey everyone! sounds like everyone is doing good. I am on day 8 of being back on track. I do have to admit though that most of my days my calorie range has been in the 1700's, but that is still low calorie range for what I usually eat lol. I also have to say that I am trying to get to 1600 calories a day. Today, looks like that may be a day when I do. I also had one other day where I was below the 1600 this week. I weigh in tomorrow so hopefully, it will be a good one! Hope everyone has a good day today. Yesterday, I believe I went over my 1600 calories by less than 100....but I worked out twice yesterday too...so maybe it evened out? Yesterday I ate 1620 calories. Not bad! I'm doing well so far today! Everyone! -Becomingme- your just in time! hello team! Hope everyone is having a good day! My day has gone well, i still have to go to gym this evening but I am doing good calorie wise and water wise. Yesterday was my first day to eat below 1600 calories! I cant believe I could actually do it lol! Since I have been back on track since last Wednesday, I usually have been staying around 1750 calories. Yesterday, however, below 1600! woohoo!! hoping for a good weight loss this week! Is it too late to join? If not, I would love to! I just completed my first week, and I lost 8 pounds. Mind you, I upped my water intake drastically, and most of my weight loss was probably water weight, but I want to join so I keep accountable, if it's not too late. **Repost** Reminder for Team A Goals! #1 Post what you had to eat for the day! Did you stay within your calorie range? If not IT'S OKAY but you must and dust yourself off! #2 Post how many cups of water you had today? 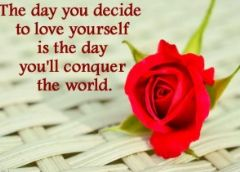 #3 List something positive you did for yourself today in the hopes of reaching your five pounds weight loss goal!! Remember this is your forum, be free to share as you please!! @ JUSTDOINGIT34! Yes this is correct!! I would like to join the August Challenge. If I understand the challenge correctly we are aiming to lose 5 lbs by Sept 7th- correct? Got sidetracked a bit by chips myDH brought home. gonna have to get him on board to help. Or perhaps just learn to live with chips inthe pantry. Going for mind over mouth this week. Wonderful Karmexo on the pounds YOU GO GIRL!! Stopping by to root for everyone here on Team A! everybody! I weighed in this morning 8/7 and lost 2 pounds. hope everyone is having a good day! @NEHAL14DUBEY We're rooting for you! You Got This!! @1234MOM You are doing wonderful! If we go over our calorie range it's okay. I try not to condemn myself; however I try not to exceed 100 - 150 of what I have set for myself! Good day, stayed within my range. Good day yesterday not great as I was 25 calories over 1600 according to the tracker. Today it will be good eating a hearty breakfast and lunch and then a protein smoothie after a club bike ride of about 22 miles. I am distracting myself from eating today through making plans for my new kitchen and bath. Longterm project. Awesome!! I'm in too... I really need to do this. Been off the wagon for long now. Send some hope and motivation my way! Wishing everyone a great day for those starting today! Remember write down everything you eat! I'm doing the same as well. I try and make a mental note, which doesnt work for i'll get confused and end up going over my calorie limit. Remember also the hidden calories in sodas and juices! We can easily waist 300 to 400 calories a day easily on fluids alone and it's so not worth it! I'm in too...I have to get out of my three month stagnation. Yes KURTZIE You are in the right place!! I'm in for this. Is this the page will log into? 8/15 weight 208.2 so but sure. It's what you feel comfortable with. What I take into consideration is once exercise is incorporated we will drop below our calorie range regardless. For example, if you go to the gym and burn 200 calories in one hour you will hit a total of 1570 calories for that day which is still below what was recommended initially. Honestly in my opinion I would recommend 1600; I've yet to see anyone suffer or experience problems while doing the 1600 calorie a day diet. Now if the 1770 is working for you, there is no need to change it! : ) Oh and of course you can still join the challenge!! This is just my recommendation but I encourage everyone to find a limit that's good for them! I've just seen this work for myself and other people! Hi, I would like to join the challenge, only one problem though, spark people recommend for my weight the least amount of calories I should eat is 1770. Can I still join challenge? When I eat less than 1770, my nutrition report says I went under my limit and it could slow down my weight loss. I guess the reason why is because of my weight is higher than most peoples lol. #1 Post what you had to eat for the day! Did you stay within your calorie range?